Automate, validate and enable medication replenishment processes across the pharmaceutical supply chain. Proven to reduce staff processing time and errors. 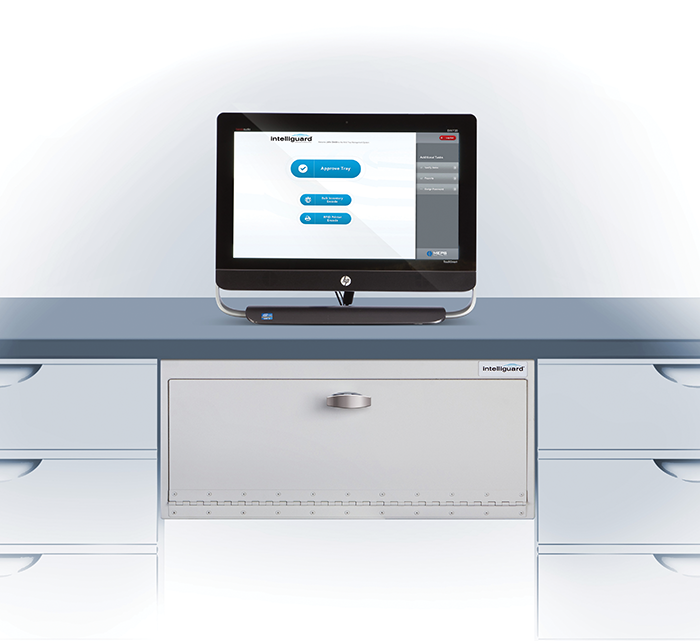 IntelliGuard does not require item-level scanning or manual counting. 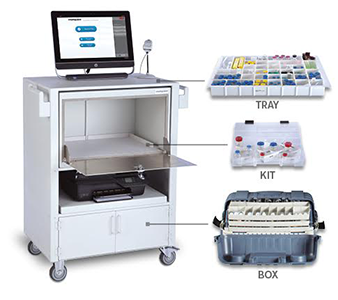 Scan more than 150 medications in a matter of seconds to ensure inventories are complete and accurate. 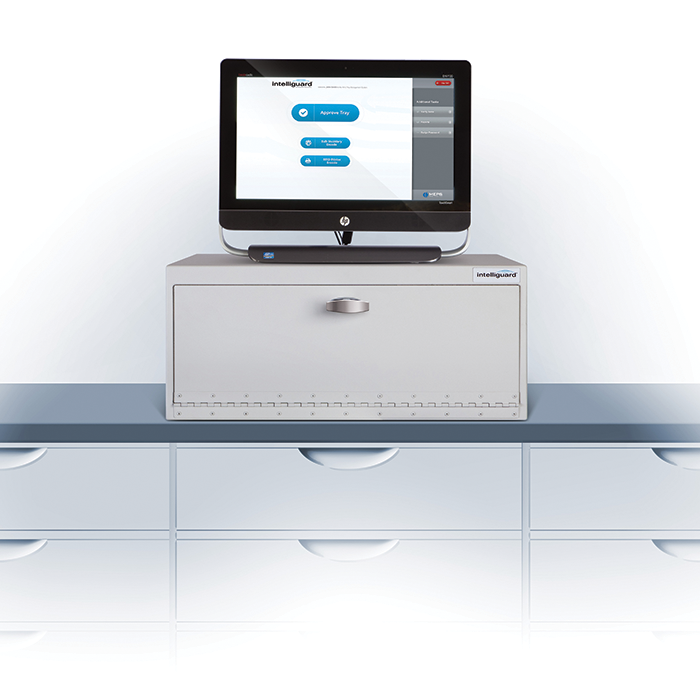 This pharmacy inventory management solution offers a variety of workstation form factors, each with an integrated touch screen user interface and intelligent ergonomic design to optimize staff use and comfort and fit all pharmacy sizes.